*This will be a FOUR HOUR MOVIE - like a Mini-series! Inspired by Janette Oke’s award winning Love Comes Softly book series, the four-hour, star-studded movie event is an inspiring tale of love, trust and miracles. "While still mourning the loss of her husband and daughter, recently widowed Ellie King (Hall) visits her brother Aaron Davis, (Vaughan) a sheriff in the small town of Haddonton, and his two children during the Christmas holiday. Ellie does her best to enjoy the holidays, even making new friends with Beatrice (Williams), a local shop keeper and Deputy Strode (Bruce). Settling in nicely with her brother's family, Ellie agrees to watch her niece and nephew when Aaron travels out of town to purchase adjacent land for farming. But when a corrupt attorney in town leaves a young man to blame for Mayor Wayne's (Astin) barn catching fire and burning, Ellie ignores distrusting townspeople and steps in to help to prove his innocence. To her dismay, the season's festivities are threatened when Aaron goes missing. When all seems lost, Ellie not only gets the perfect holiday miracle-her brother delivered home safely on Christmas morning-but also the chance at a new life when she finds herself falling in love again." Many of you have been asking... and "Surprise", here it is! I think it's a nice cover - and it was such a fun and meaningful Christmas Movie, too! Which "Mrs Miracle Movie" do you like best? Pro football star Jake Walker returns to the small hometown he left in pursuit of a Hall of Fame career. 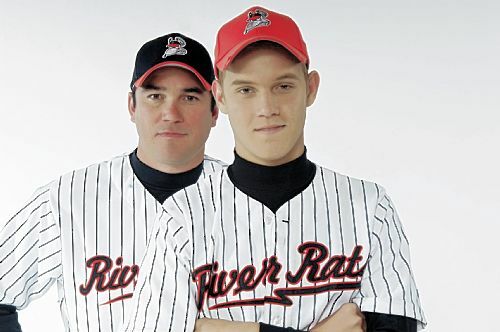 But when he finds that his contract is not being renewed, he's forced to reconnect with the family and friends he abandoned along the way. Can this all-star overcome his painful past in order to establish his future? As I flip my TV - back and forth from the Weather Channel & Fox News today... I've been watching where the storm is heading and how bad it is for those who have homes or businesses on the east coast. Please be careful, if you are in the path of Hurricane Irene. My Prayers go out to all of you who have left your homes and especially for those who chose to stay behind. If your area was evacuated, I hope and pray many heeded that warning. Buildings can be replaced - people cannot. Please be safe, everyone! As we near September 11th, 2011... Let us never forget the terrible tragedy of that day - 10 years ago. May we continue to display our American flags with honor and Pray for our Country! 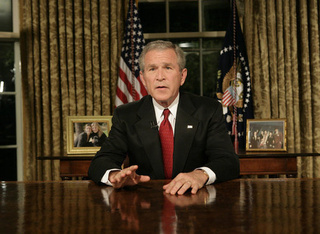 *The National Geographic Channel will air a documentary, "George W. Bush: The 9/11 Interview" on the September 11, 2011 terrorist attacks. Premieres August 28th. *FOX NEWS will have Documentary Specials and LIVE Coverage from New York, at the site of Ground Zero on September 11th. *History Channel Remembers 9/11 on Its Tenth Anniversary - "9/11: The Days After," a follow-up to "102 Minutes That Changed America," will premiere Saturday, September 10, and they will also have "Voices from Inside the Towers" and the "Making the 9/11 Memorial". Please check the Family TV Schedule for times for these programs and other Specials Commemorating 9/11. Thank you. Good night. And God bless America." I know I will watch some of these shows, but I must admit, not all. 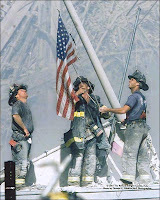 It is difficult to re-live the memories of this tragic day, yet it is important for us all to remember it. I cannot imagine what those who were there on that day are going through... especially, after the earthquake on Tuesday, (August 23, 2011) which forced people to evacuate their work places after the buildings shook - reminding them eerily of 9/11 all over again. I pray for all the families who endured loss on that day of September 11, 2001 and for those who have lost loved ones - soldiers, fighting for our freedom ever since. 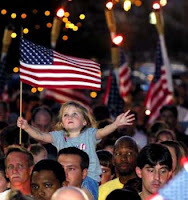 God Bless America ~ Land that I love! Hallmark Channel Movie, William and Catherine: A Royal Romance, Premieres this Weekend! William and Catherine: A Royal Romance, premieres Saturday August 27th, 2011 on the regular Hallmark Channel and encores on Sunday! *Please check ratings before viewing! See the Family TV Schedule for times airing! 4 Months until Christmas!!! Watch the Joy of Christmas & More!!! Oh my Goodness, Can you believe it? It is already 4 months until Christmas!!! Yeah! 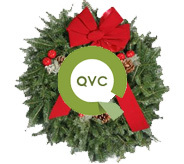 I know for many of you who follow my blog - this is your favorite time of year. I love it, too! .....And, there are a few Christmas Themed shows on TV today and this weekend.... to get us in the Spirit! I hope you all enjoy this little Christmas update... Many more to come!!!! Looks like GMC (previously known as: Gospel Music Channel) would like to have some of the same success as the Hallmark Channel does - by premiering their own Original Made-for-TV Movies every month! *Click on Each Title above - for more details! Having more "New Movies" on TV is exciting news for anyone who enjoys watching movies at home, instead of the theater. Plus, with the economy - it's good to get the most out of the luxury of having cable television ... and if that means watching made-for-TV movies or simply waiting 'til a certain Theater Movie is played on Cable, Network TV, or comes out on DVD - that's fine. All of these options are typically less expensive than the average family - going to the theater. I hope you and your family will enjoy these new GMC films! Be sure to click on the film titles - if you would like further details on any of the Movies listed above. Have a Beautiful Day... God Bless! *Faith-based film Stars Dove Award-winning Christian Singer, Natalie Grant. Ilene Connors and her son Jackson are struggling to get by both emotionally and financially after the death of her husband Steve. 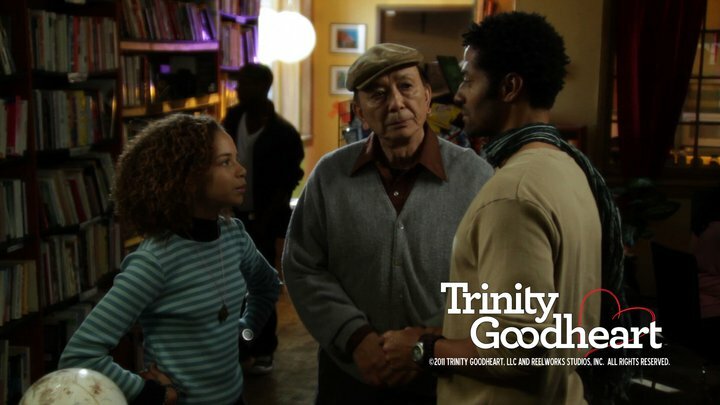 Jackson goes to live with his grandfather for the summer where he struggles to adjust, but the two begin to bond. When they take a hunting day-trip, an accident will test their survival skills and their faith. 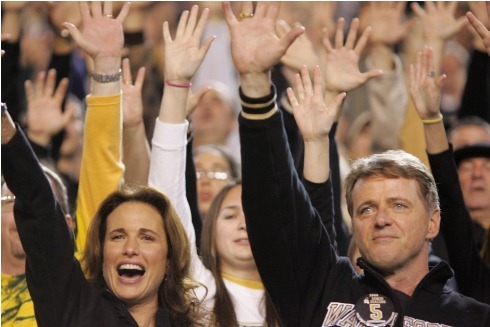 The inspirational true story of Jon Abbate who, driven by the tragic and fatal car crash that took the life of his 15 year-old brother Luke, wears Luke's number 5 jersey and helps to lead the Wake Forest Team to the most successful football season in school history. A film inspired by the true story of Dax Locke, a terminally ill child with a rare form of leukemia. Determined that Dax celebrate one last Christmas, the community of thousands came together and made that happen. 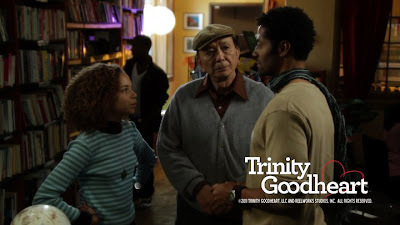 Trinity Goodheart Premieres this weekend on the Gospel Music Channel! This is the first of Original Movies coming monthly to the Gospel Music Channel! Christmas is right around the corner. Are you in the mood for a " sort of " Christmas Movie? Today, August 19, 2011... Two Movies are airing today that I would classify as " Sort of " Christmas Movies! Then, there is a favorite movie of mine... "While you were Sleeping", starring Sandra Bullock. I remember seeing this in the theater when it firsy came out! I've always loved it... fun and cute Romantic Comedy! And, there is a bit of Christmas in it, too! CMT's New Movie "To the Mat" Premieres Tonight! CMT has begun to create their own Original "Made-for-TV" Movies. 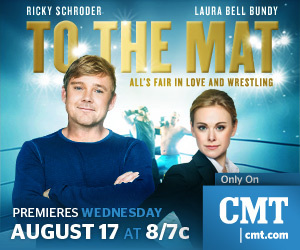 "To the Mat" starring Ricky Schroder and Laura Bell Bundy will be their first film. According to Television Ratings, this will be rated TV-PG. Please check ratings (when movie begins in top corner) before viewing with any children. The subject of this film is wrestling - so I am expecting there to be some violence. Please Note: At this time, I have not viewed this movie - so I do not know if it will or will not be family-friendly. on Silver Spoons, years ago? What a cutie he was then - and still is today! And, what a fun family show it was! Click here - for details on Silver Spoons. See the "To the Mat" page for more Movie details! "To the Mat" Movie Review page! I wanted to share this press release I was sent from INSP's Manager of Corporate Communications. Looks like they are going to continue to air great family shows. Plus, check below and see the new series they have added! Indian Land, SC – INSP-The Inspiration Network has announced a fall 2011 schedule that features many of the greatest family favorites in television history. The announcement was made today by Doug Butts, SVP of Programming. New to the network are such treasured classics as Bonanza, The Big Valley, The Brady Bunch and Dr. Quinn Medicine Woman. These programs reinforce the current schedule that includes The Waltons, Our House, Highway to Heaven, Wind at My Back, and others. INSP is tightly focused on reaching the 78 million Ameri­cans who are a part of the Baby Boom generation, with a particular emphasis on those who are socially-conservative. The strategy was launched in October 2010 with the ‘New Day’ initiative, a culmination of more than two years of planning and research. The fall schedule commences on Monday, September 26, 2011. 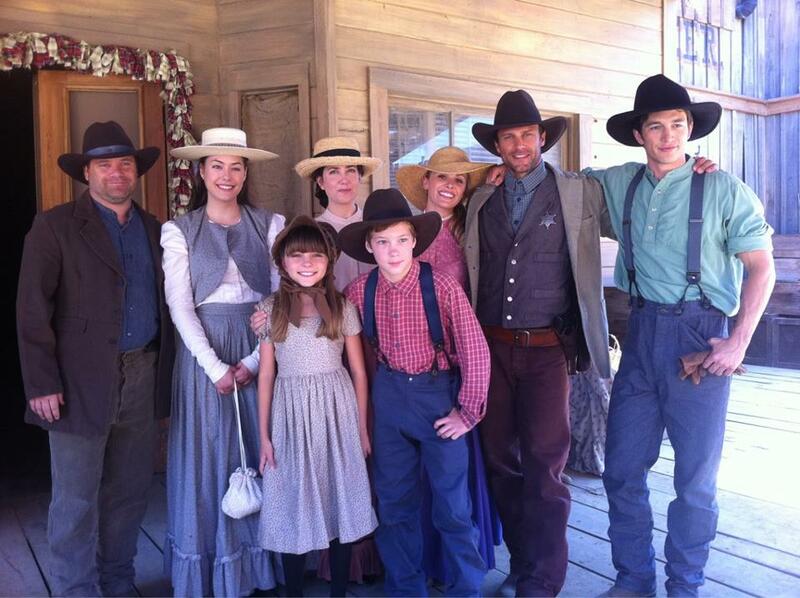 Prior to the premiere, INSP will air an all-day marathon of Dr. Quinn Medicine Woman on Monday, August 29th. Viewers can check their local program guides for channel line-up information or visit www.insp.com. INSP is available in more than 54 million homes across the U.S. on 2,800 cable systems and on DirecTV channel 364. DR. QUINN, MEDICINE WOMAN, starring Jane Seymour, Joe Lando, Chad Allen, Erika Flores and Shawn Toovey, is a drama about one of the first female doctors on the American frontier. Dr. Michaela "Mike" Quinn (Seymour) faces the challenges of the West in the 1860s, and the townsfolk who reluctantly begin to accept her. As a physician and adoptive mother to three orphaned children--Matthew (Allen), Colleen (Flores) and Brian (Toovey)--the determined Dr. Quinn works to leave her mark on the town of Colorado Springs. Byron Sully (Lando), whose closest companion is a wolf and who is one of the most enigmatic men she's ever met, stands by her side as she struggles to forge a new life for herself on the frontier. BONANZA, starring Lorne Greene, Michael Landon, Dan Blocker and Pernell Roberts. The Cartwright's thousand-square-mile Ponderosa Ranch is located near Virginia City, Nevada, site of the Comstock Silver Lode, during and after the Civil War. Each of the sons was born to a different wife of Ben's, with none of the mothers still alive. Join Ben, Adam, Hoss and Little Joe as they protect their ranch while helping neighbors and strangers through the many trials they face on the Nevada frontier. These were the days where family values and the fight for justice were backed up by six-guns that always had right on their side. THE BIG VALLEY, starring Barbara Stanwyck, Lee Majors, Linda Evans, Peter Breck and Richard Long. The Barkleys are the wealthiest and most powerful family in California's San Joaquin Valley in the 1870s, owning and controlling cattle herds, gold mines, citrus groves, and logging camps. Follow the family's trials and tribulations as matriarch Victoria Barkley and her adult brood confront bank robbers, horse thieves, revolutionaries, land grabbers and other dangers with the strength of family, faith, integrity, courage and teamwork. THE BRADY BUNCH, starring Florence Henderson, Robert Reed and Ann Davis, tells the story of Carol, a single mother of three girls – Marcia, Jan and Cindy - and architect Mike Brady, a single father of three boys – Greg, Peter and Bobby – who get married and blend the two families into one. Added to the mix are housekeeper Alice and dog Tiger. The Brady’s experience the same obstacles as any family, from adjusting to their new extended family, to sibling rivalry. The comedy series famous for its catchy theme song truly has become a pop culture icon and is still enjoyed by viewers of all ages. The Inspiration Networks are available to more than a billion people worldwide through multiple distribution platforms, including four satellite and cable TV networks (INSP - The Inspiration Network; Halogen TV (www.halogentv.com); LFC - La Familia Cosmovision; and INI - Inspiration Network International). The Inspiration Networks also operate “Halogen On Demand,” for national television video on demand (VOD) delivery; and “Inspiration Global,” providing broadband video content to non-English speaking audiences. Hopefully, you will enjoy the Family Programming on this great network! I personally wish they hadn't scaled back on the show - Wind at my Back. Our family really enjoys it. Otherwise, we Absolutely Love the series of - The Waltons and are glad to see it continue in the same time-slot! Thank you INSP for your wonderful family programming! Please check back - as images to DVD covers are added in. Plus, I hope to add more Christmas DVD Releases! Which of these Christmas Movies, are you looking forward to getting on dvd?